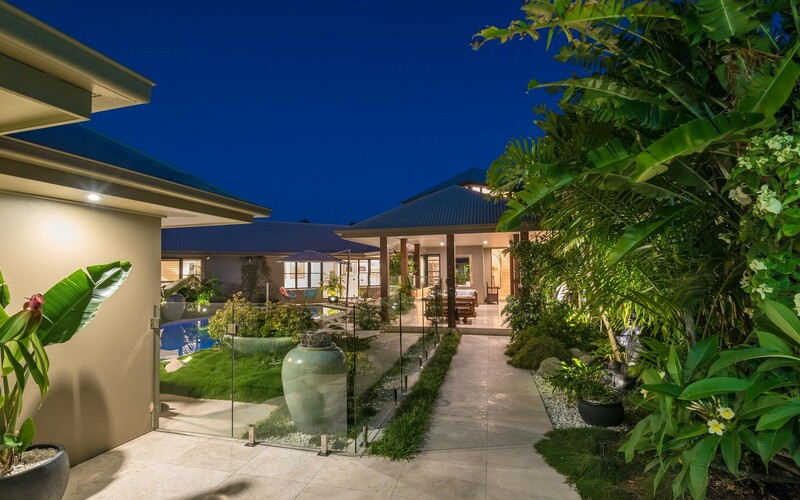 Architecture, portrayed by Tim Ditchfield gives this waterfront home a timeless elegance and has been carefully penned to take advantage of every aspect of the impressive site. 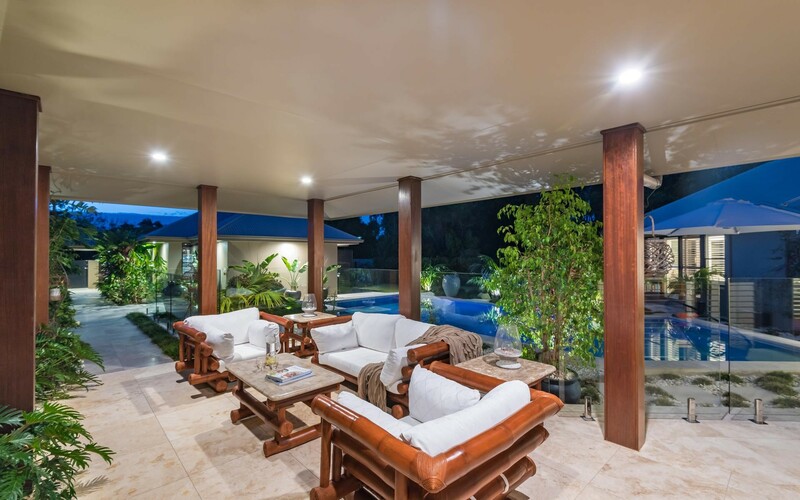 Creating a sublime environment for family living and entertaining, this two-level residence stands on a generous 1084sqm (approx.) 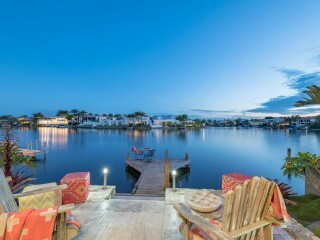 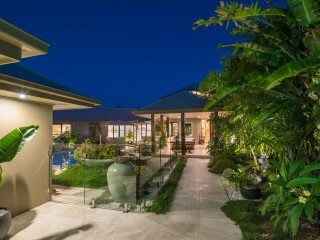 parcel of land with long water views, lush landscaped gardens and a sundrenched pool. 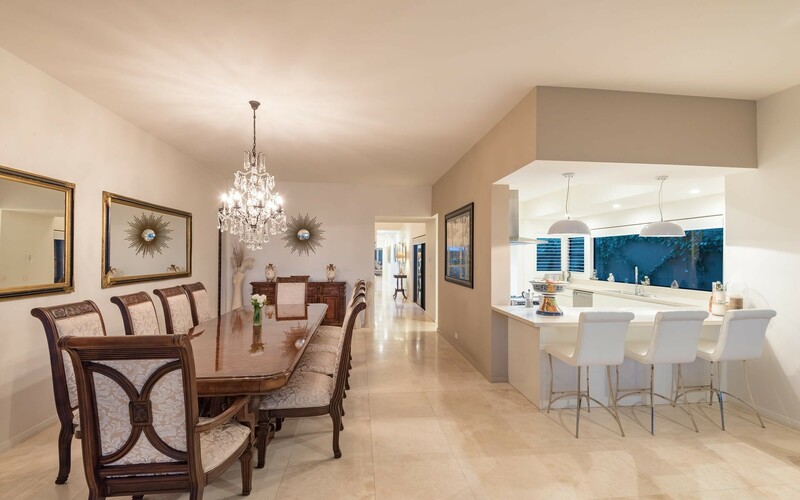 Fresh interiors add a wonderful feeling of space and light with multiple living areas providing flexible spaces. 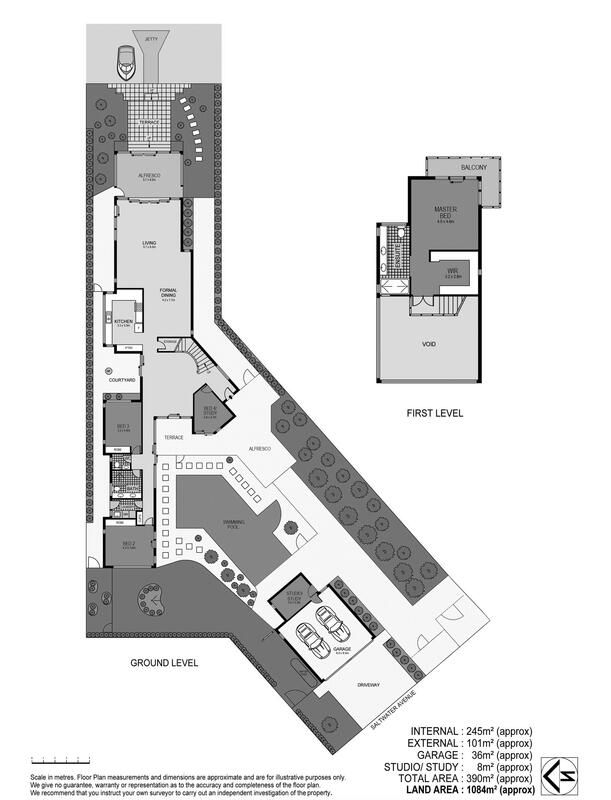 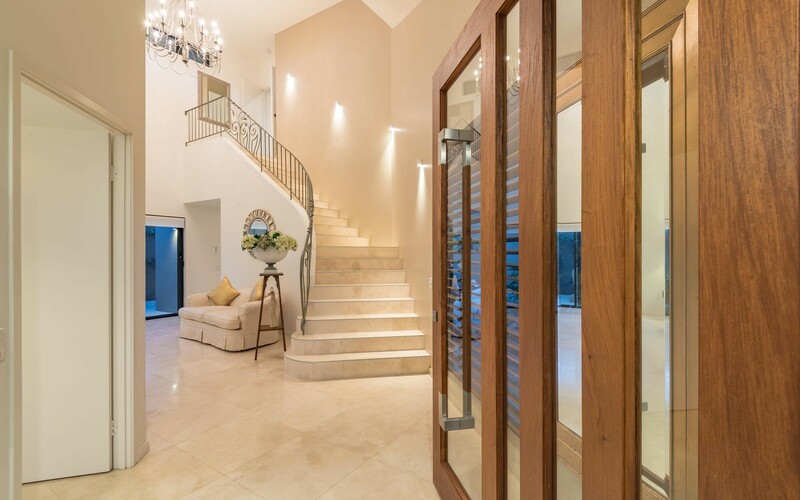 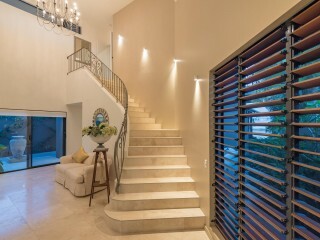 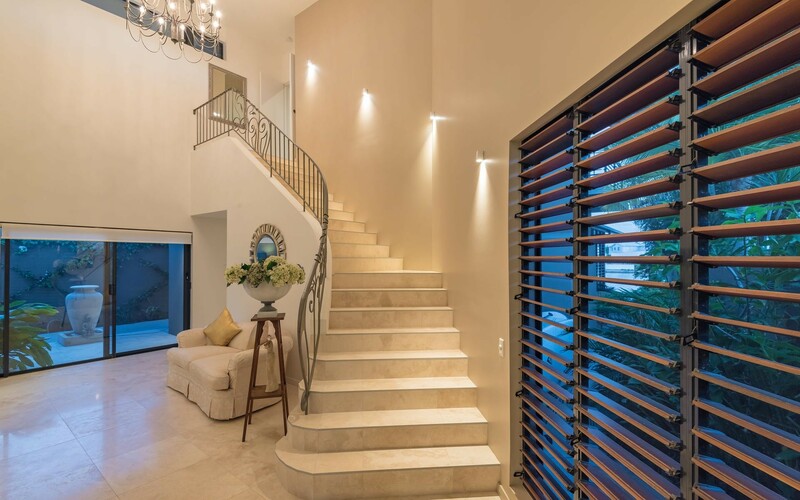 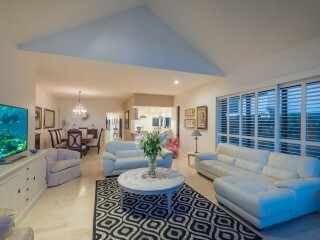 The generous layout includes a grand entry hall with sweeping staircase over the formal living room. 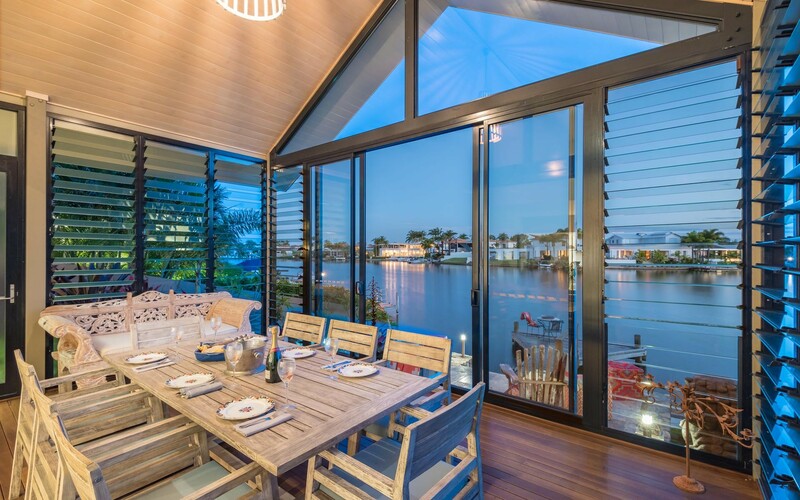 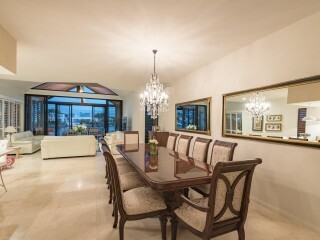 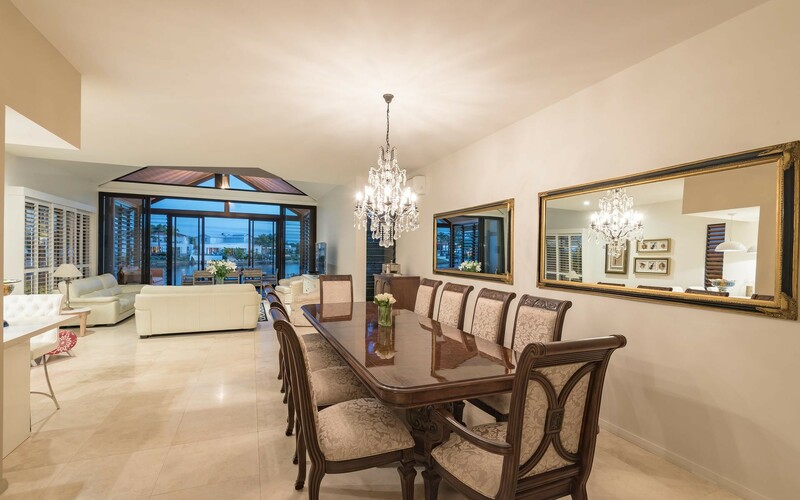 Dining options include an elongated formal dining space with chandelier or the waterside conservatory-style dining area complete with louvres, feature cathedral timbre ceiling and stunning long water views. 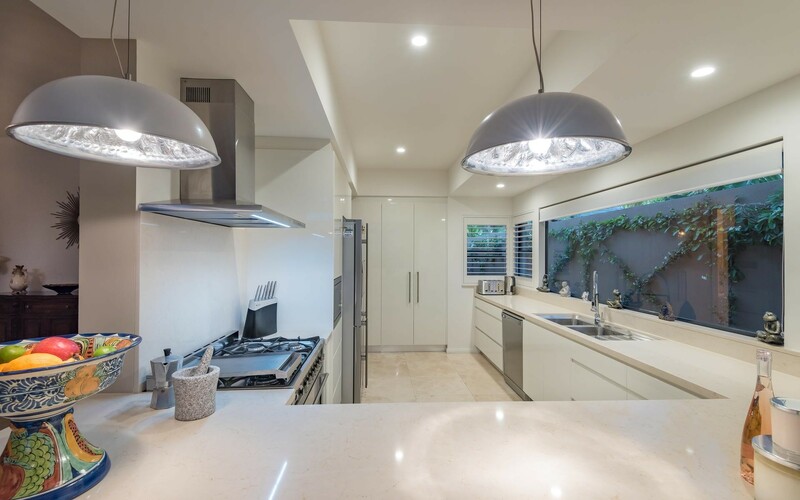 The kitchen includes a stone bench top, gas stove, plumbed fridge and European appliances with an abundance of storage all with soft closing mechanisms. 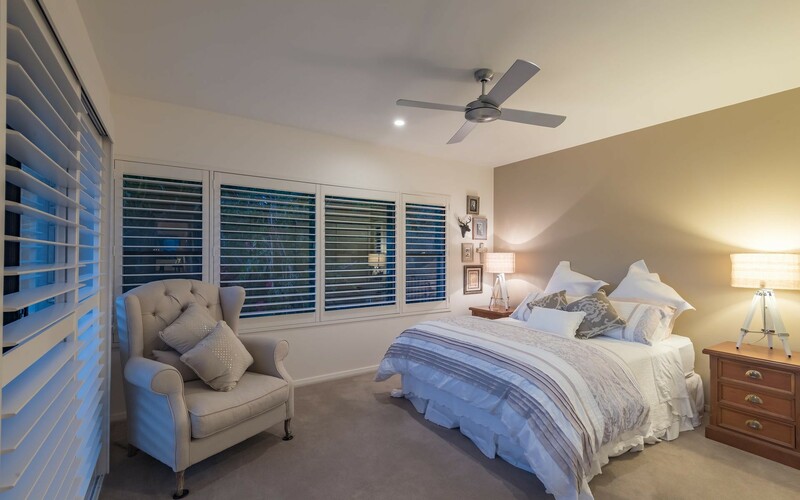 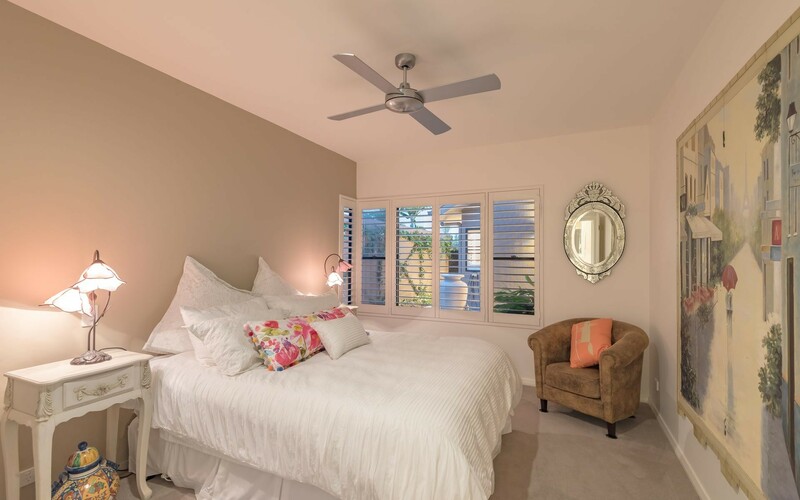 Above, a spacious master suite is privately positioned away from the guest wing and allows you to wake to the sunrise over a stunning waterfront view. 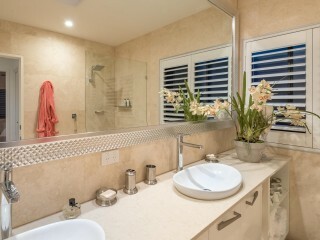 Highlighted by a dual shower, the en-suite has a high end feeling, supplemented by a walk in robe. 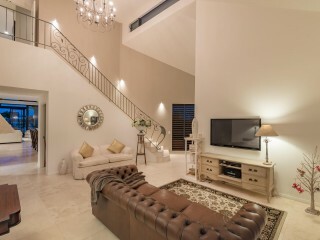 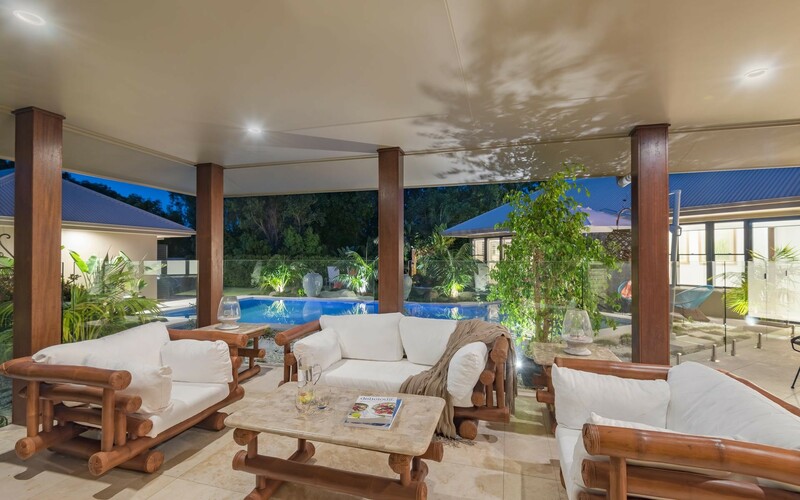 Downstairs the residence comprises of two extensive bedrooms enjoying a pool and garden outlook with built-in robes, the fourth bedroom also looks across the pool. 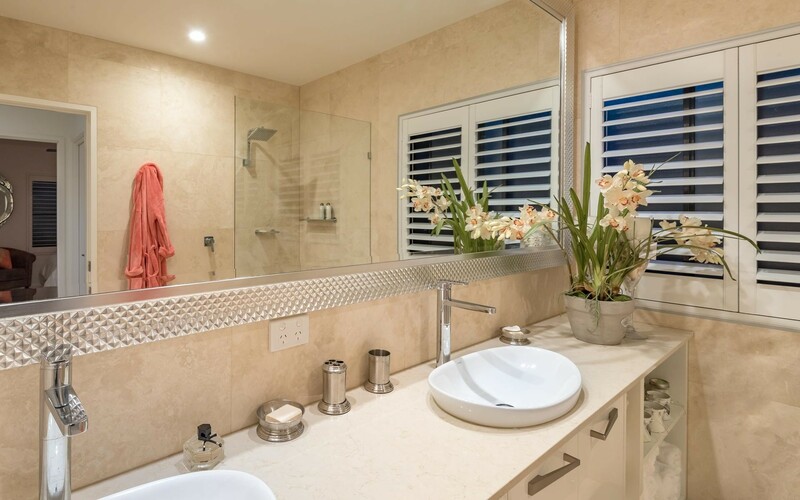 Fully tiled in luxurious travertine, the guest wing is serviced by a central bathroom with a separate powder room. 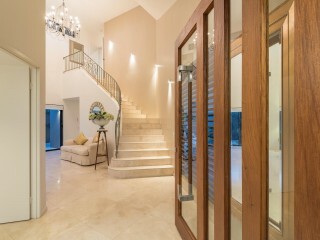 Also completely clad with travertine the well sized laundry has plenty of bench space and external access. 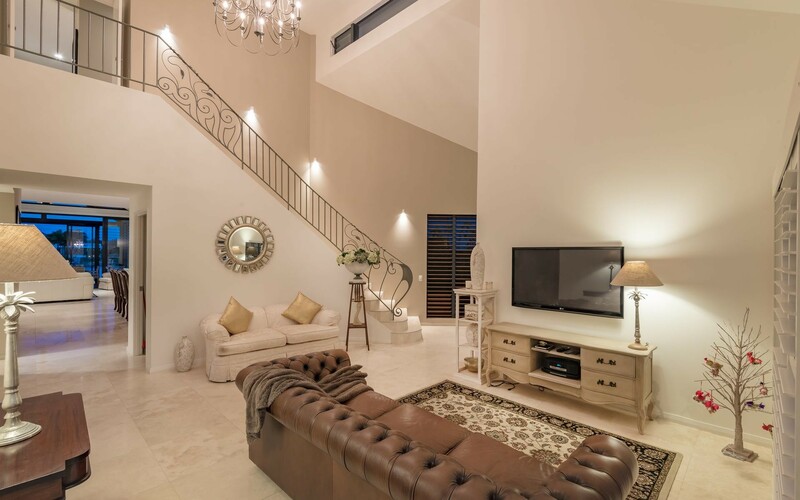 Private and set back from the street, the home has a secure gated entry forecourt with direct access to remote-controlled garaging for two cars. 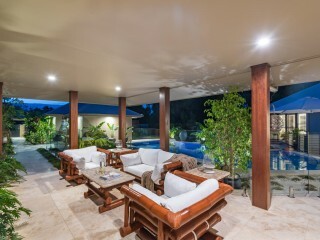 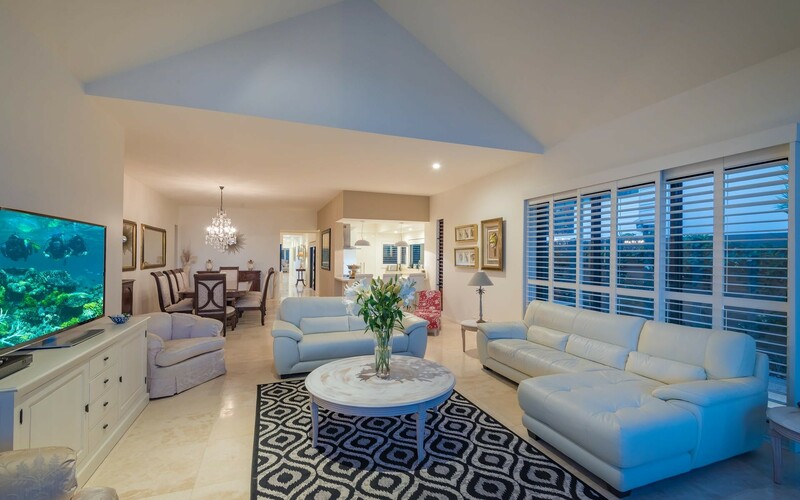 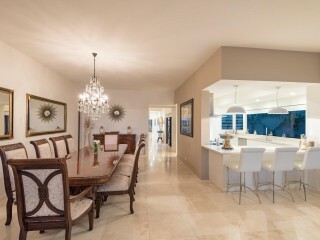 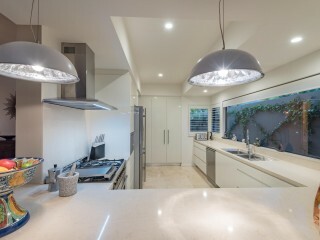 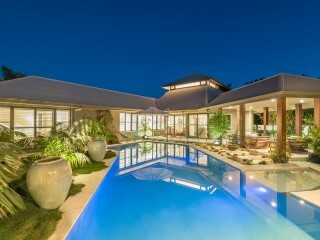 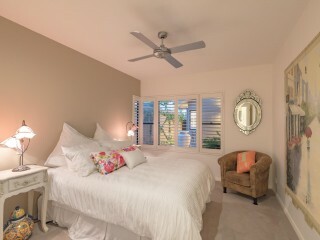 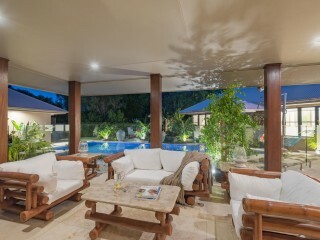 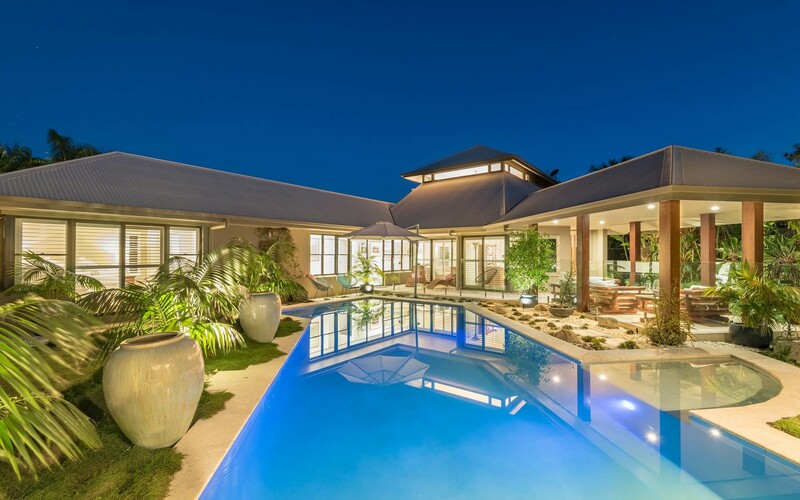 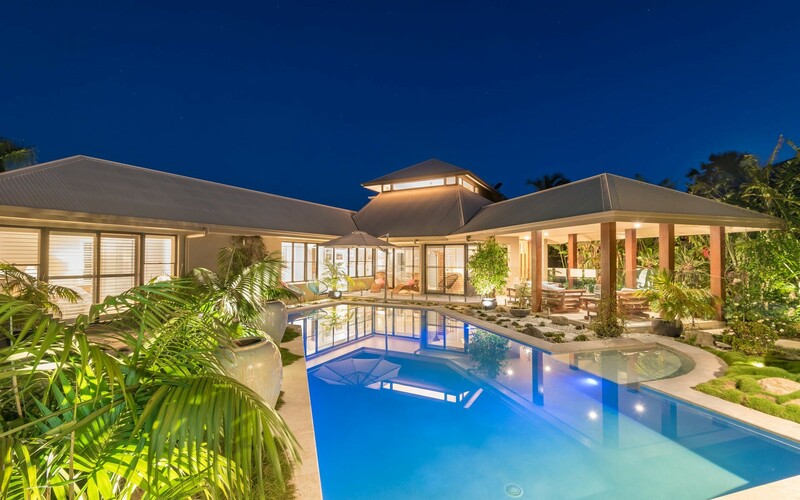 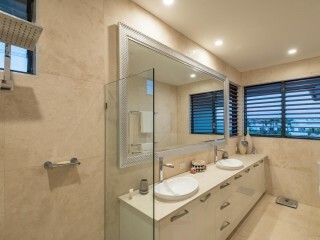 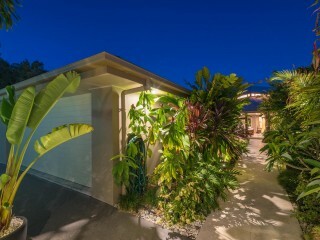 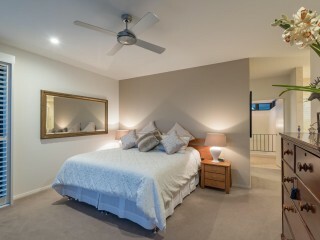 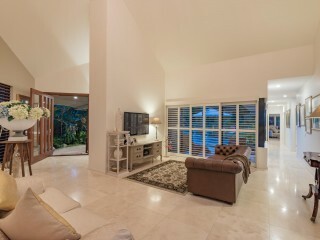 The Noosa Waters lifestyle is enhanced by the resort style living which is especially felt around the 15m lap pool. 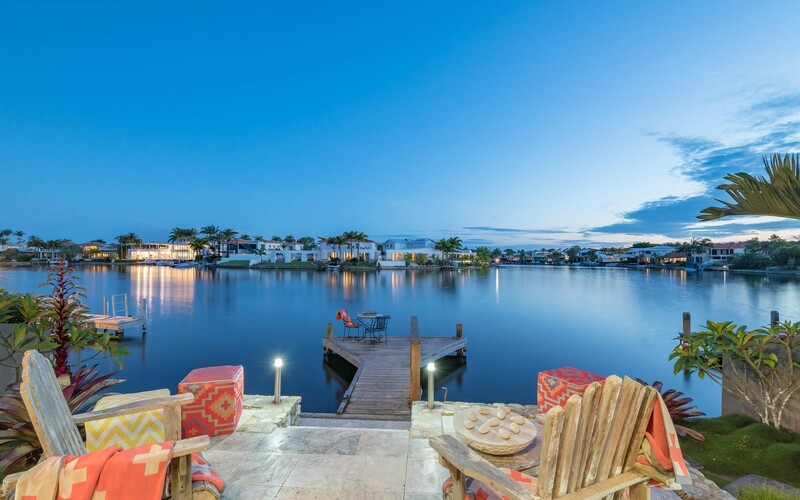 Extensive living areas and plenty of outdoor space around the consistently sun lit pool are sheltered from the waterway for year round enjoyment. 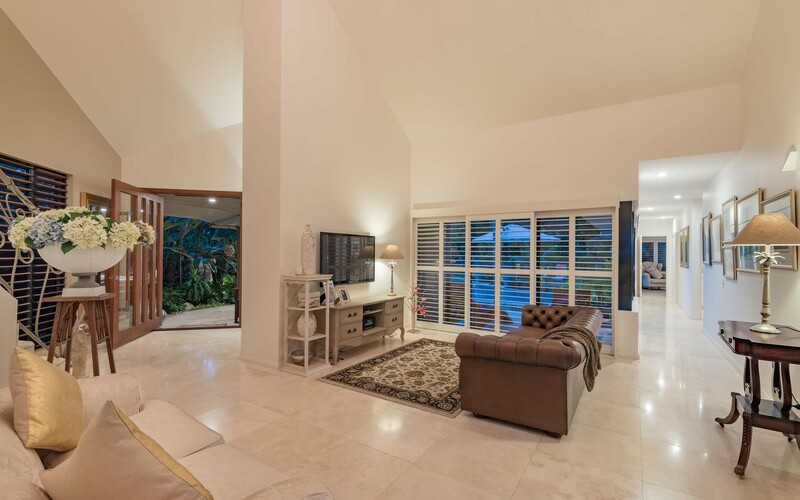 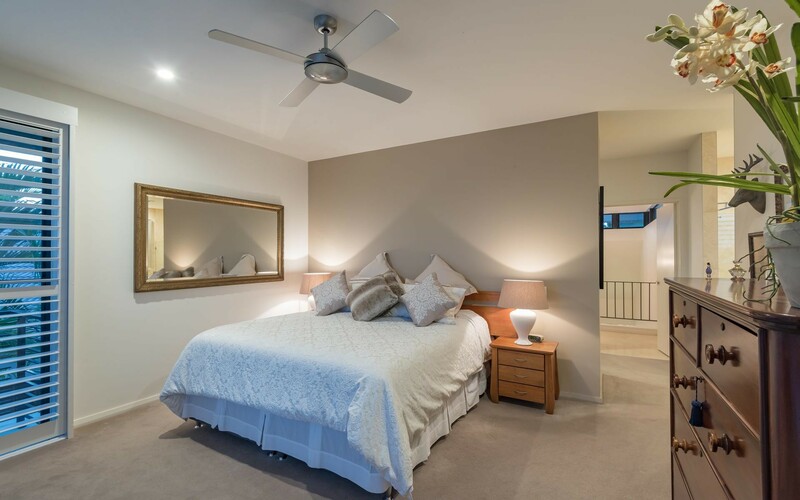 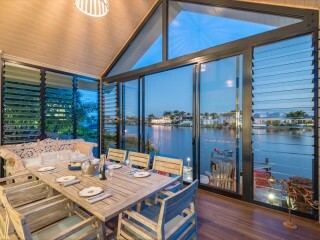 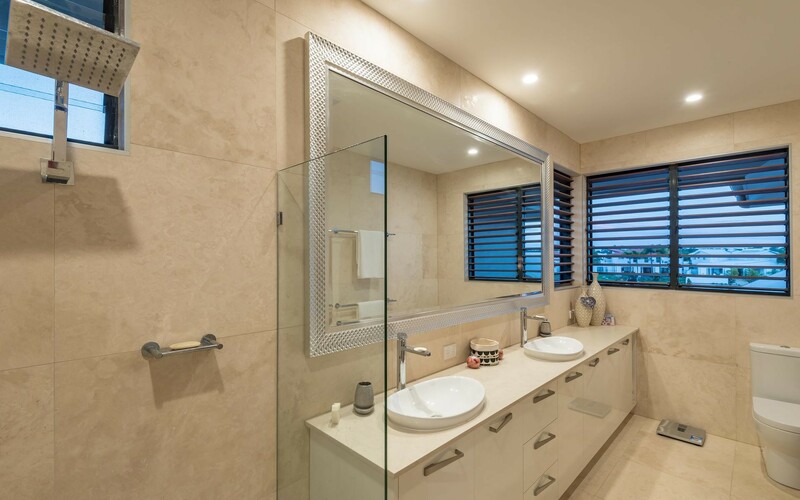 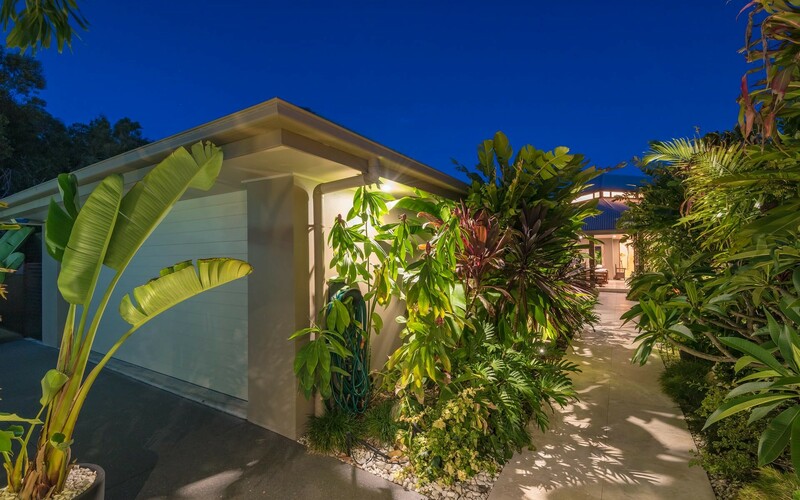 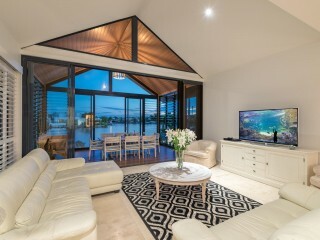 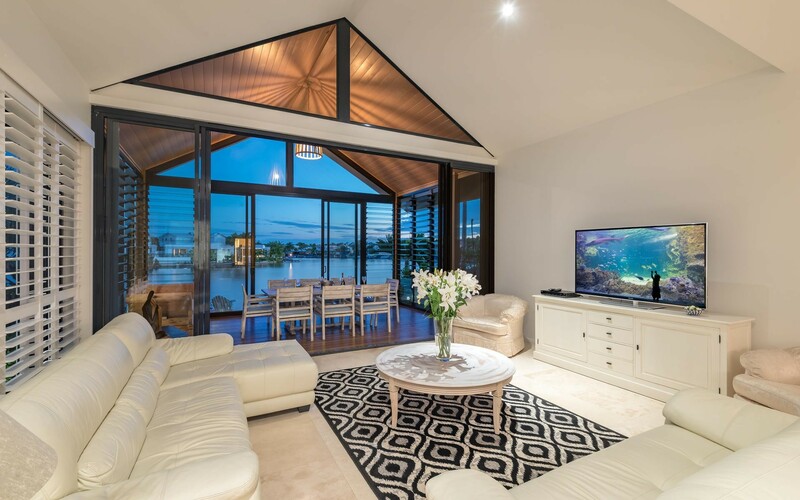 Perfectly located in the exclusive Noosa Waters, yet a short walk to the shops and the riverfront, this designer home showcases the best of local design and low maintenance living.